Apple is continuing the leave a trail of breadcrumbs towards their “It’s Showtime” event on March 25th. Yesterday, it was resurrecting two forgotten iPads, and today, we get a long overdue update to the iMac, with refreshed 4K and 5K models offering twice the performance as the previous generation. 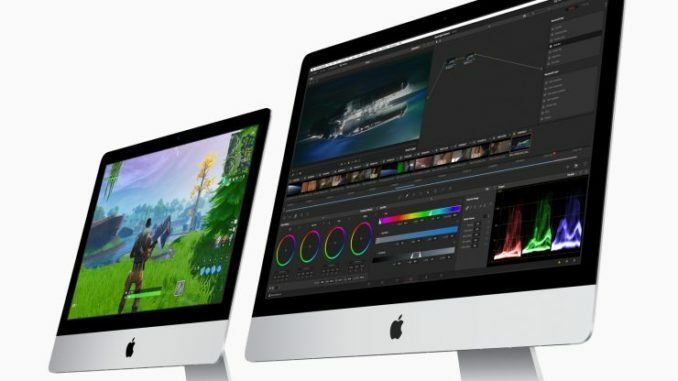 Over six hundred and fifty days after the last update to the iMac platform, Apple has updated both the 21.5″ 4K and 27″ 5K iMac with new CPU and GPUs, but keeping the display essentially the same. The 21.5″ 4K iMac comes with a six core 3.2 GHz Coffee Lake i7 processor, promising up to 60% faster CPU performance with Turbo Boost giving the 4K iMac a maximum speed of up to 4.6Ghz. The GPU also gets a boost with 80% faster graphics Thanks to the AMD Radeon Pro 500X series graphics card and 4GB of VRAM. By contrast, the 27″ 5K iMac receives a 9th Generation Core i9 processor with speeds up to 3.6 Ghz, or 5.0 Ghz with Turbo Boost. The result is 2.4x faster CPU performance, and 60% faster graphics courtesy of the Radeon Pro 500X and 8GB of dedicated VRAM. 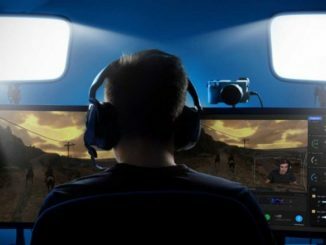 Users can also choose an even faster GPU option through the Radeon Pro Vega, which uses High Bandwidth Memory to double the bandwidth of the GPU. 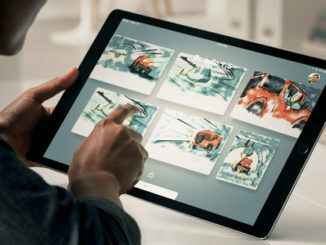 Moreover, Apple has chosen to stick with the same retina display as the previous model, meaning that while the GPUs have gotten a model improvement, the display isn’t going to be able to squeeze out any better sharpness and resolution than before. 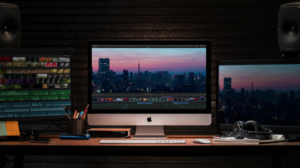 Still, Apple aims square at RED Users with the 5K iMac, claiming that when working with REDCODE RAW, users will get an 80% faster export speed when pushing out to ProRes 422HQ in Final Cut Pro X. Both models come with either the standard Fusion Drive or SSDs, with up to 2TB for the 27″ and 1TB for the 21.5″ respectively. RAM options include up to 64GB of DDR4 RAM for the 5K model, and up to 32GB for the 4K model. Meanwhile, the iMac Pro got a slight update, with the option to add the Radeon Vega 64x graphics card and adding up to 256 GB or DDR4 EEC RAM. Prices start at $1,099 for the 2.3 Ghz dual core 21.5″ 4K iMac, and $1799 for the 3.0 Ghz 5K Retina model. If you max out an iMac Pro, you’re looking at $15K easy. 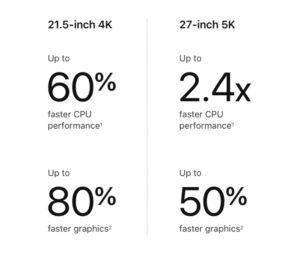 So it seems to me that Apple is really pushing users to head towards the more powerful (and more expensive) 5K iMac or iMac Pro, while those who have to work on a budget get stuck in the slow lane. If all you do is surf the internet, or enjoy YouTube videos, that may not be a big deal. But if you’re seeking to edit 4K video, well, you can see the problem almost instantly. But here’s the thing. The long overdue refresh of these iMacs is rather dubious, because Apple has chosen to ‘update” them with processors that, while new to the systems, came out in 2017, and the iMac Pro gets nothing but a boost in GPU and RAM. So, even though it’s just now being refreshed, all models still remain behind the state of the art, which is the Intel Core-X. So, what’s the deal? Since Apple is planning on moving towards their own processors in 2020, it kinda makes sense that this could be the final Intel iMac generation, and would only be a modest update. This would leave Apple with more focus on designing their own chips for the next time around. But following the advice of never buying the first generation of any new technology, it would mean it’s going to be a long time before you can get a mature iMac system for an 8K future. 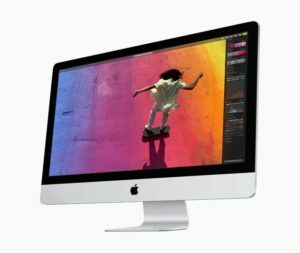 No 8k iMac Pro or 8k display? Whatever happened to plans for the touch slate mode iMac TV? number of latest things, including updates. Let’s not forget a music player with a trendy round thing, or a PDA (or GEOS phone) looking, shaped and functioning phone with trendier look. Let’s not forget that innovation of bigger screened IMac, or yet another tablet in history. Technically some of these things were a squeeze, but how much was really innovative or not from hired help. The cubed Mac might have been a rare high point over the years (that was squashed too, along with that ultra long battery life arm based arm laptop before Steve). Most of the innovation was NS (not Steve) and some successful stuff BS (before Steve) like Newton, was squashed, in a WWSD (What Would Steve Do). We wasted our time and money in the computer industry on tech giants that saw things as making mo money, when innovation could have made things even better. No new Mac Pro … My Windows Premiere Pro, After Effects, HitFilm, and Resolve keep getting better and better on hardware that keeps getting cheaper and cheaper. Is Apple’s day coming to a close? Odds are this is just a way to throw a bone to the faithful in an attempt to keep their confidence up without a significant investment. Using older processors is probably due to not wanting to upgrade the motherboards with newer chipsets. Either Apple is simply giving up on the pros and is launching these relatively half-assed updates in an effort to convince themselves that there’s not enough demand to justify further development on high end machines, or it’s just a stopgap while it works on a proper machine. I agree with your thoughts about throwing us a bone, but a stopgap measure – since 2013? 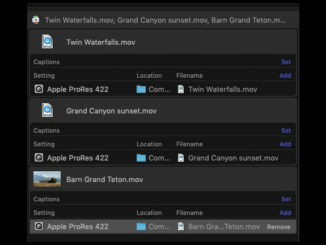 I love FCP X and Motion, but I’ve started learning more and more about the new Resolve. Options for Windows AND Linux and a beast of a machine for under $2K! I still keep our 4,1 and 5,1 systems alive, but with the effort to get Mojave running on the 4,1, building a Hackintosh (see video insert above) or moving to non-macOS systems all together are looking much more fiscally responsible for 2019.